Before the curtain rises the Overture is sung by a quintet comprising Jacquey Chappell, Liz Robertson, Christine Melville, John J. Moore and David Bexon, followed by “Night Waltz,” as elegant couples dance through a sylvan setting, presaging the romantic flirtations and frustrations to come. remember?” and Anne runs sobbing from the theater. Desirée goes to her mother’s country house and arranges for the Egermans to be invited for the weekend. Anne is horrified when the invitation arrives but, after discussing the matter with Charlotte, decides to accept. Carl-Magnus and Charlotte also decide to go –uninvited – “A Weekend in the Country – How amusing, how delightfully droll. The comedy ended, Madame Armfeldt tells Fredrika that the night has already smiled twice – once for the young and once for the fools. As the lovers dance through the birch trees to “Night Waltz,” the night smiles down for the third and final time. 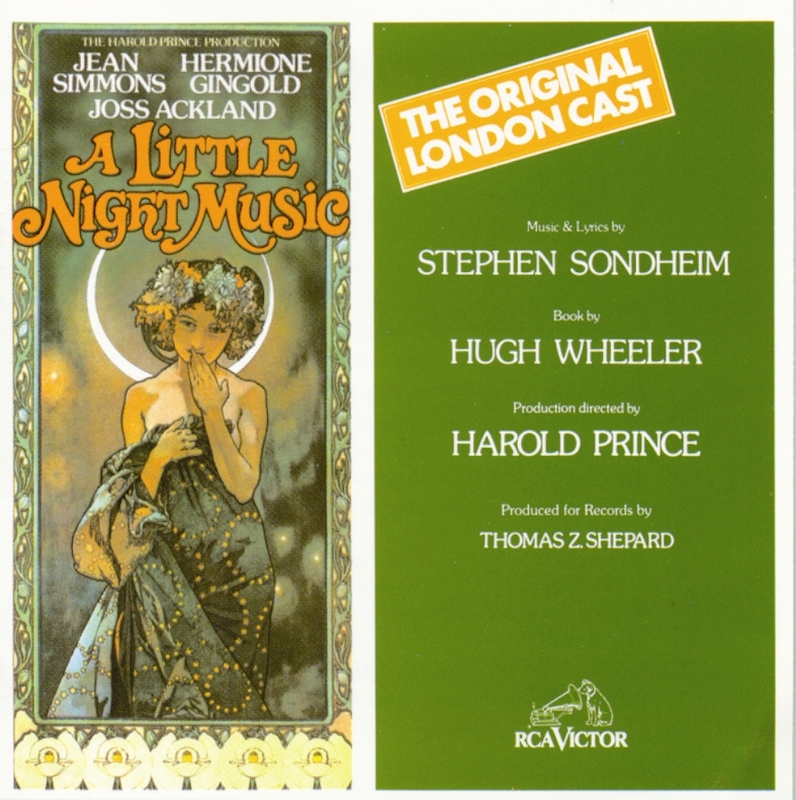 Sondheim’s elegant treatment of Ingmar Bergman’s Smiles of a Summer Night (and one of his most popular musicals) enjoyed as much success in London as it had on Broadway, when it opened at the Adelphi Theatre there on April 15, 1975. With Jean Simmons playing the itinerant actress who falls in love again with the lawyer with whom she once had an affair, portrayed by Joss Ackland, and with Hermione Gingold recreating the part of Madame Armfeldt she had played on Broadway, the show had an initial run of 406 performances. It has since been revived a couple of times on the West End., most notably with Judi Dench as Desiree in 1996, and subsequently with Catherine Zeta-Jones and Angela Lansbury in a production that reached Broadway as part of the 2009-2010 season.